Founded in 2006, the Academy of Educators is designed to emphasize teaching and support faculty development both in Chapel Hill and across the state. Beginning with only faculty members, we have included residents in our mission to promote peer-to-peer leadership and teaching. We’ve grown to over 300 active faculty members and over 60 resident members. Faculty and residents represent a diverse population of educators in various specialties. Dr. Amy Shaheen is a long time educator and a current Medical Alumnae Teaching Professor. She is a general internist and a long-time advocate of ambulatory education. Her research interests include curriculum development, evaluation, and innovation. 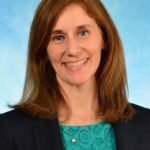 Her current projects include integrating quality improvement education into the clinical curriculum to improve patient outcomes and faculty development videos to improve teaching skills. In addition to Dr. Martinelli’s role as Associate Professor, she also serves as the Associate Residency Program Director for her department. Outside of Anesthesiology, she currently serves as a member of the inaugural Leadership Council for the Academy of Educators within the School of Medicine. Within the Council, she chairs the Scholarship Committee and works to increase scholarly output of the membership. 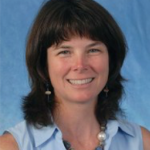 She is also the Chair of the Department of Anesthesiology’s Wellness Committee and a member of the UNC School of Medicine Wellness Committee. Outside of the office, Dr. Martinelli spends time with her husband and 7 year old twins, Samantha and Cooper. They also have a rescue dog, Blu.